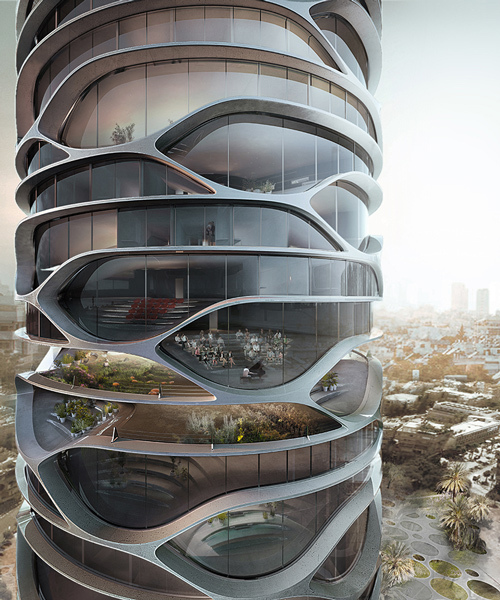 designed by belgian architect david tajchman, the ‘gran mediterraneo’ is a conceptual highrise building conceived for the israeli city of tel aviv. the scheme brings together a range of innovative functions, including an automated car-park and induction charging stations for electric driverless vehicles. 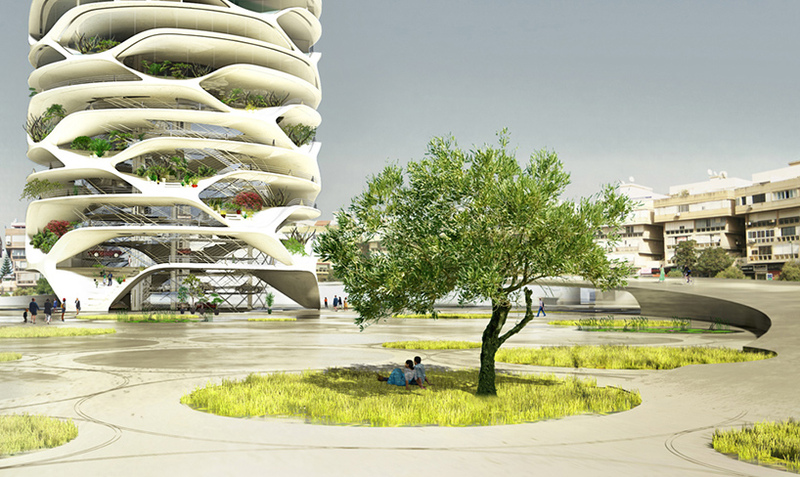 the multistorey tower boasts a topological geometry that contrasts the contemporary orthodox approach of stacked horizontal slabs wrapped with mirrored glass. 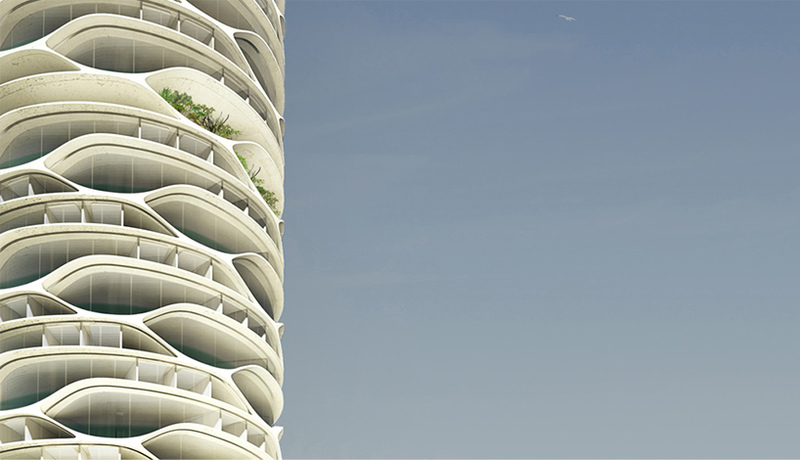 built with white concrete, the highrise’s façade takes on a cellular appearance, filled with native mediterranean vegetation. 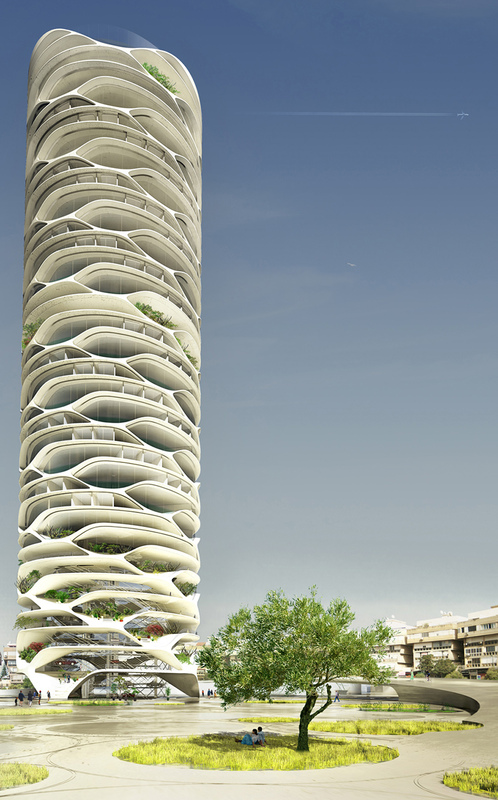 the tower offers a diverse mix of programs suitable for vertical living. 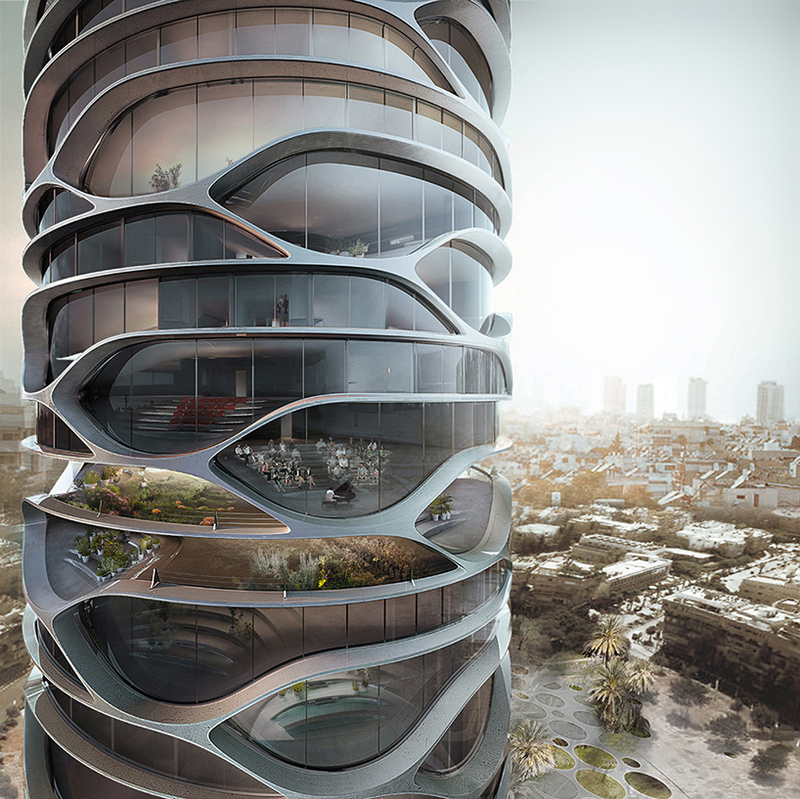 as well as residential apartments and a hotel, the complex incorporates a range of bars and restaurants, farming areas and public gardens, swimming pools and dead sea spas. in addition, the ‘gran mediterraneo’ includes coworking spaces for offices and local startups, alongside a host of educational and event spaces for larger functions. 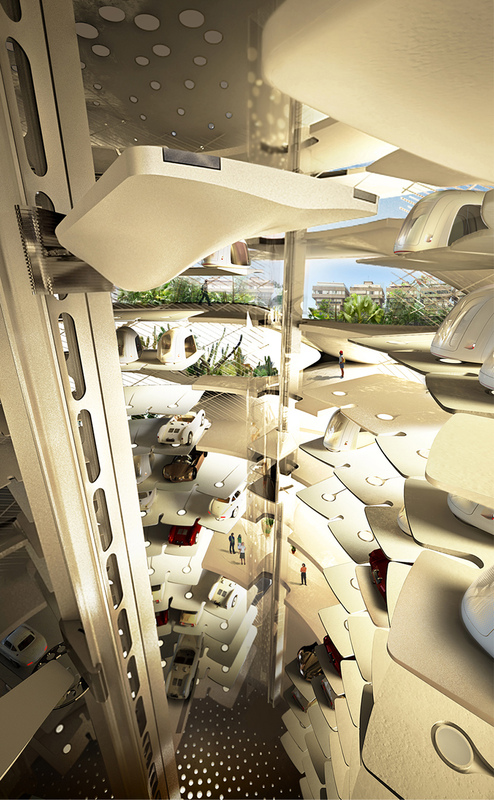 internal space is flexible, with individual apartments radiating out from the building’s central core. 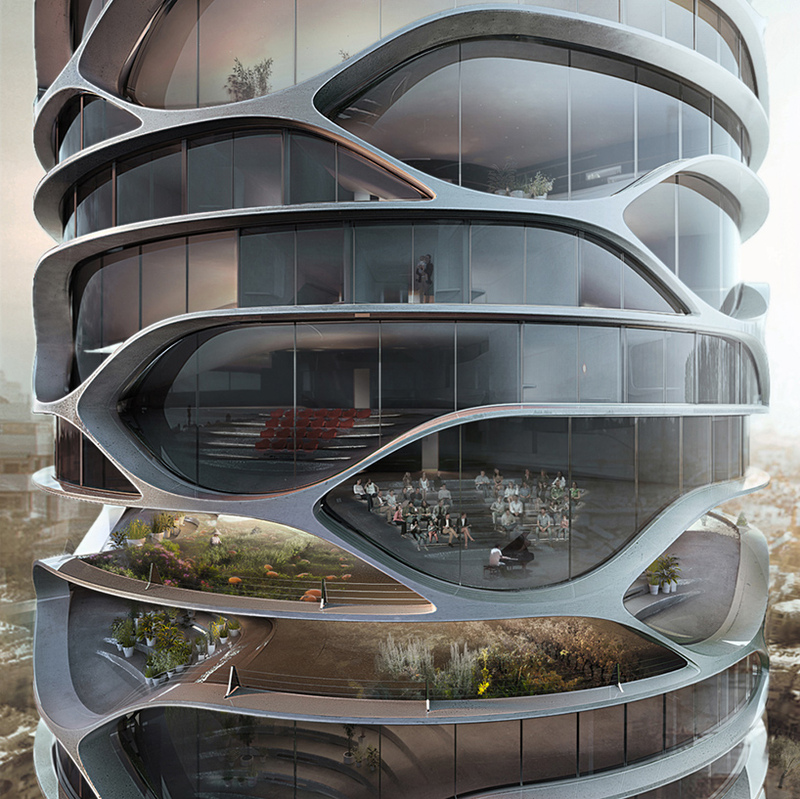 each unit comprises a fluid arrangement of levels, with vast floor-to-ceiling windows overlooking the city below. I am impressed, how logical this beautiful design is.